This is a guest post by NNCG members Clare Nolan and Sonia Taddy of Engage R+D. It was posted on NPF TIG Week, and is shared here with permission. Greetings! 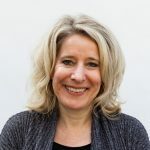 We are Clare Nolan and Sonia Taddy and last year we co-founded Engage R+D to help social sector organizations harness the power of evaluation, strategy, and learning to advance their missions. As long-time evaluators dedicated to social change, we are keenly aware of the importance of enabling diverse stakeholders to share their truth and openly listen to that of others. But what does it take to create spaces that facilitate the authentic exchange of ideas in the philanthropic sector? Below are three traps that hold back truth-sharing, along with resources and tools to avoid them. #1: The Accountability Trap. Foundation staff and trustees rightly want to know, “What difference are we making?” While being accountable for results is important, evaluation in philanthropy works best when it is viewed through an organizational learning and effectiveness lens. This enables grantees and foundation staff to be honest about barriers they are encountering and work more effectively together. Rad Resource: Grantmakers for Effective Organizations’ Evaluation in Philanthropy may be 10 years old, but it’s still a classic. It lays out the case for using evaluation as a tool for improvement and shows how different foundations put this approach in practice. Rad Resource: We recently partnered with the Foundation Center to publish a Grantcraft Guide to facilitate knowledge-sharing in the social sector. By sharing insights and lessons, foundations can help others and advance their own impact, too. #3: The Bias Trap. Evaluators spend a lot of time thinking about how to mitigate statistical bias. 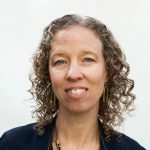 But according to Chera Reid of the Kresge Foundation, “We cannot ‘outrigor’ our biases, as our research and evaluation designs are developed by people with lived experiences.” We need to think beyond sources of statistical bias and more deeply about the implicit biases we bring to our work, both personally and as a field. Rad Resource: Equitable Evaluation is creating an important space for funders and evaluators to reflect on the assumptions and values that underlie current evaluation practice, including how some truths and ways of knowing are privileged over others. By emphasizing learning, supporting knowledge-sharing, and reflecting on bias, we can better use evaluation as a tool to raise important and challenging truths that are critical to advancing philanthropy’s impact.